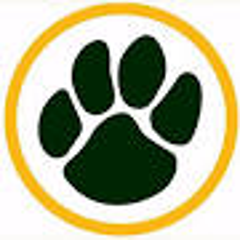 Welcome to Ashwaubenon Girls Softball Association! Practice and game schedules are completed! Check your individual team pages for your schedule. You can also view the master practice and games schedules below. Concession signups will be coming soon! 2019 AGSA Registration is OPEN!! We're already thinking spring! Please register for the 2019 Softball season below! AGSA has a FACEBOOK Page!! Like the Facebook page "AGSA Softball" for up-to-date information on leagues, registration, rainouts, and anything AGSA softball related! Text AGSAPONY to 84483 to receive Pony League alerts from Ashwaubenon Girls Softball Association. Text AGSALITTLE to 84483 to receive Little League alerts from Ashwaubenon Girls Softball Association. Text AGSABABERUTH to 84483 to receive Babe Ruth alerts from Ashwaubenon Girls Softball Association. Text AGSAPEEWEE to 84483 to receive Pee Wee alerts from Ashwaubenon Girls Softball Association. Text AGSAMINOR to 84483 to receive MInor alerts from Ashwaubenon Girls Softball Association. Text HELP for help. Text STOP to cancel alerts at any time. For customer support contact info@rainedout.com or 800-230-1933. 2019 Tournament Registration is open! 10U/12U/14U/18U - July 25-28 All brackets are full! Please e-mail agsatournaments@yahoo.com to get on the waiting list! Congratulations to our 2018 Championship teams!! Questions or issue with the website? ©2019 Ashwaubenon Girls Softball Association / SportsEngine. All Rights Reserved.